Videos on social media are rapidly becoming more popular on mobiles and tablets, which presents you with a big opportunity to use video to a much greater advantage. Working with the Bournemouth Air Festival in 2017, we produced a number of short videos in advance of the event, which were mainly used for advertising to visitors about everything that was taking place around them. Each clip was produced in a square format by adding branded panels and messaging above and below the video. This guarantees the content will fill as much of the screen as possible, regardless of whether the mobile or tablet is held upright or in landscape mode. Online video is rapidly becoming more customisable, and with the changes in the way we access and watch it, you have far greater ability to grab attention and get your message across than ever before. The Dorset Plane Pull is an annual charity event like no other. Hosted near the sunny south coast at Bournemouth Airport, the challenge for each competing team of up to 20 people is to pull a fully operational Boeing 737 passenger jet, weighing in at 35,000 Kg, across a distance of 50 meters. This mighty effort raises thousands of pounds for charities both locally and nationally. Since 2013 Plato Video have been proud to be part of the event as its official videographers. Each year we produce the official highlights film and until 2015 also produced an official DVD to help raise it's profile and raise further funds. Below is our highlights film from 2016. Following the 2016 event we changed things up slightly and replaced the DVD with a series of short videos that could be shared on social media to celebrate all of the teams that took part and encourage them to share with their friends and fans. Each video, roughly 1 minute in length, features one of the competing teams, along with the event's own personal host and expert interviewer, Colin van Geffan. His task is to commentate each pull and interview the teams both before and after to get a full sense of the fun, excitement and achievement that comes with it. Here’s an example featuring the winners of 2016, team Al of a Pull. Now with an inventory of video content for use as promotional assets, the Dorset Plane Pull’s social media team have been sharing one of these videos per week since May 2017 in the hope of building awareness and hype for the forthcoming event on Monday August 28th 2017. To learn more about us and our event style videography or aviation marketing videos, visit our events page or get in touch. Or send us a message on Twitter or Facebook, or why not hit the chat button below! Creative digital marketing agency, Createful were recently awarded the task of redesigning the Bournemouth Air Festival’s website in time for this years event as well as developing a brand new mobile app. 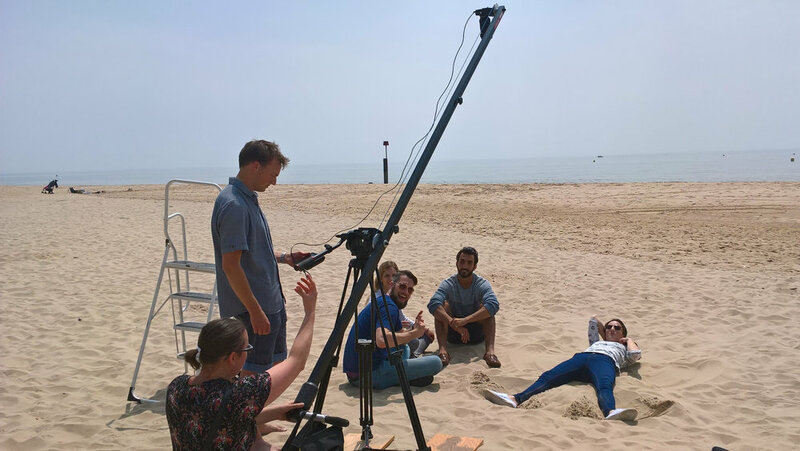 In partnership with the team from Bournemouth Tourism, Createful also organised a competition with students from the Bournemouth Arts University. The challenge was to create a short promotional film for the Air Festival lasting no longer than 20 seconds. All they needed was a big library of footage to work from, and that’s where we came in! We supplied the team with our highlights films from previous years, each of which are over 3 minutes long and packed full of our very best shots, so to condense everything down to less than half a minute is certainly no easy task. Following all of the fantastic entrants and judging, we were thrilled to view the official winning entry below. A big well done and congratulations to students Natalie Carr and Emily Wood for submitting the winner. Following on from their success we are delighted to learn that the winning film will be shown on advertising screens at selected UK shopping centres, including most notably Bluewater in Kent and Birmingham’s Bullring. Interested in learning more about our event highlight films? Check out our events page. For vintage fans I offer wedding films that are shot the original way, on real Super 8mm cine film. I also offer contemporary video and film combination packages. 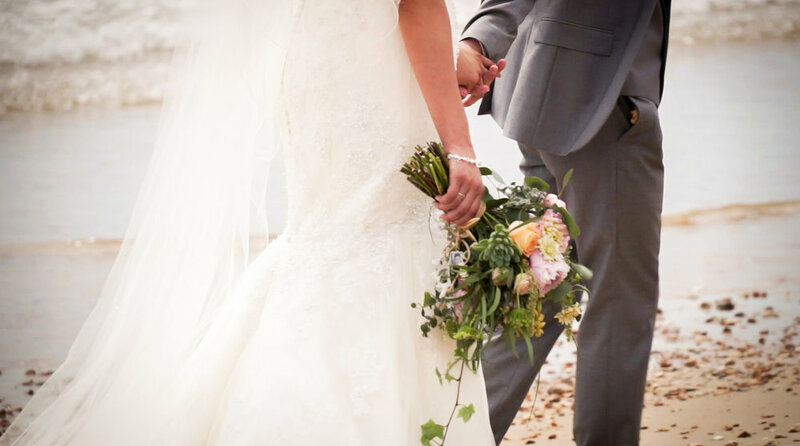 Editing is a big part of my wedding video services but occasionally the couples themselves either might like to edit it themselves or simply flick through the unedited video file collection. This is where you get involved. Grab hold of the selfie stick or wear one of my chest mounts and be as creative as you like, especially on the dance floor! Live streaming video is one of the newest and highly popular features on Facebook where anyone can simply go live through their phone. I can offer to live stream the video from your wedding ceremony to Facebook or YouTube for all your friends and family who couldn’t make it in person to enjoy. If you see anything you don’t like in one of my packages or are looking for something completely different, ask me! Create your own wedding video package, from what you want captured to what gets produced at the end. All of the above are available amongst or in addition to my wedding videography packages. For more details have a look at my wedding video and vintage film pages. Contact me directly using harry@platovideo.com or 07557 448526. Alternatively contact me via my Facebook page. **Press Release** Plato Video is now a limited company! Brothers Charles and Harry Fynn have become Directors of their father’s Bournemouth based video firm under the new name of Plato Video Ltd. Both Charles and Harry have been working together since 2012 with the aim of bringing a new style, energy and client base to the business with creative, professional video production being at the core of what it does best. 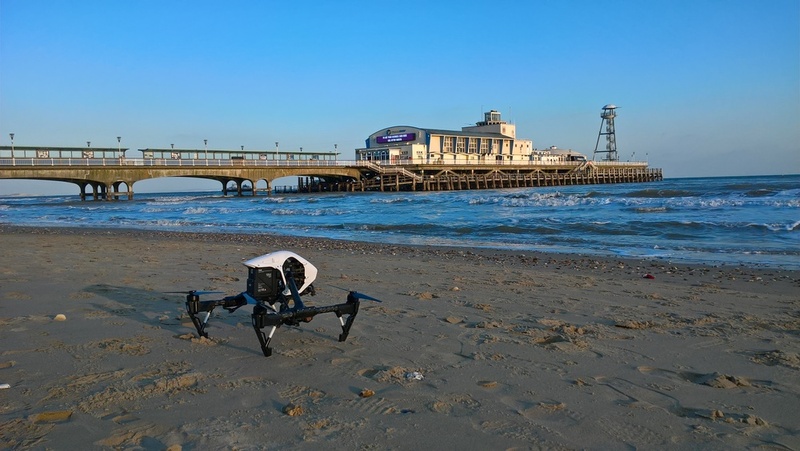 Plato Video over the last five years has produced a variety of professional video content both for corporate and event video, working on and delivering a number of high profile contracts including the official tourism videography for the award winning Bournemouth Air Festival. In 2016 the firm collected an award from entrepreneur and Dragon’s Den star, Theo Paphitis, after being selected as a winner for his regular Small Business Sunday event on social media. Harry Fynn has become a highly recommended wedding videographer locally through Plato’s sub brand, Harry’s Wedding Films. Harry has worked at a number of prestigious wedding venues capturing and producing stunning motion pictures for happy couples on their big day. Harry said “I love the diversity of our business. No day is ever the same, which is testament to our ability to adapt and produce a variety of different video regardless of the industry or sector. One day we could be capturing a wedding on the beach, the next we might be in a factory, on a farm or even a race circuit”. There are several factors to consider when deciding on a video production company. What’s their experience, have they handled a project like this before, are they recommended, and especially for the budget conscious, how much do they charge? It’s always important to ensure that when you contact production companies you do so with as much information as possible. This will help you get the best and most accurate information in return including creative input, advice and associated pricing. Don't worry if you don't know the answer to all of these points. Promotional video production companies will often be more than happy to help advise and come up with creative ideas to help you get the right result. A video production service isn’t necessarily a costly exercise. If you have a budget in mind or a maximum spend limit, make sure to include this with your brief. Always ask questions if you have any. If you’ve got a brief you’d like to share with us, get in touch and send it across! Beach huts with a BIG difference! In the latter half of 2016 we were tasked with producing promotional video content of Bournemouth’s fantastic new Beach Lodges. 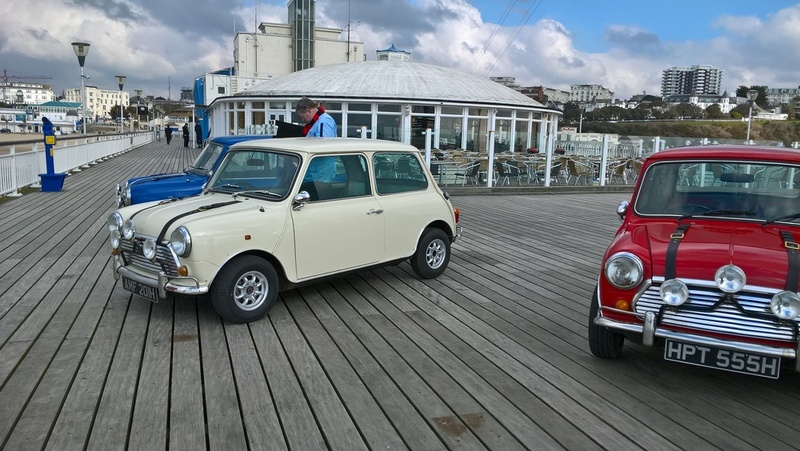 These superb ‘mini houses’ have recently been installed on the promenade between Boscombe and Southbourne and offer something completely different to your standard beach hut – you can sleep in them! Later in the year whilst the interiors were being fitted we visited the construction site to complete the next project of producing an interior video to showcase the facilities on offer. We were loaned a beach lodge to work with, which had already been fitted with all of its primary features including a kitchenette, bathroom, dining area and upstairs bedroom, all carefully crafted by the experts at Ecologic Developments. The attention to detail, professionalism and pride put in to making these stunning new beach lodges is simply brilliant. They will make for a great new way to enjoy the delights of this seaside town. Looking for an accommodation showcase video? Get in touch and send us the details. Chances are you’ve probably already seen some business video marketing today, whether this was on TV, on a desktop or on your mobile. Video advertising is a hugely accessible marketing tool which can be tailored to its audience across various platforms and used not just to entertain but to interact and engage. People searching for products and services that you offer may well have a better chance at finding you if a video of it exists. Google owns the video streaming giant YouTube, and so any video attributed to your business has the ability to feature in to Google search results. It’s important to consider who you want your video to be seen by. Facebook offers you the opportunity to promote your page with a sponsored link featuring your video. You can also specify the demographics that you wish to target in your campaign and set a budget level that works for you. Video allows a company to speak directly to its audience using visuals, moving images and audio which are all vital to brand communications. Video can be adapted for any business and remember it isn’t always about cold hard selling. Shape the video around the message you want to get across. Be serious, be funny, be creative. Video is a very affordable media tool to businesses of all sizes and so the benefits are no longer reserved for those that can afford the prime time TV slot during Coronation Street. All you need is the right video production company to get the job done. We offer a highly adaptable video production service and have experience in working across various sectors. See our promotional and event video pages for more details on what we offer. Get in touch to discuss your next video project. Website banner videos are a fantastic way to showcase your company online. Unlike a standard promotional online video, a web banner video will usually play automatically and silently in the background of a home page. The idea of a promotional website banner video is to offer visitors a brief insight in to your business with a focus on its most visual aspects from the people who work within it to a closer look at the functional aspects such as manufacturing, finished products, services etc. First impressions are always important and this type of online video is a great way to get the right result. In the latter half of 2016 we had the pleasure of working with Upperdog, a Bournemouth based website design, marketing and development agency, who were looking for a banner video to play on their brand new website. Their brief was for us to capture the real working environment behind Upperdog with less clichés and staged content which can often look as though it was lifted out of a stock footage collection. This approach allowed us to create something which was completely original and conduct our work with minimal disruption. All of the footage shown in the video fully represents Upperdog in their day-to-day environment. Interested in having one produced for your business? Fire an Email over to play@platovideo.com and we’ll be in touch! Today video is everywhere. It’s almost impossible to scroll through Facebook or do a Google search without seeing a video pop up somewhere. Video is a growing platform and a very affordable tool for businesses of all sizes for use both off and online whether it’s a product / venue showcase, event highlight montage, an interview or explainer video. More often than not a video for your business needs more than just the smartphone treatment if its to get the right message across and so it’s important to consider the professionals in corporate video production. Chances are you’ll likely find a wide variety to choose from in your local area from small specialists to big agencies. Here are a couple top tips for what to look for when hiring a supplier for your promotional video production project. Does the company have a good level of experience working across multiple sectors? Take a look at their portfolio (if available) and see what types of industry they have worked in. The diversity and standard of their portfolio should tell you everything you need to know about their adaptability to a project similar to yours. It’s important to know if they are likely to interpret and deliver on your brief. They might do a good job but what are they like to work with? Can you get hold of them easily? Would they be able to meet a tight deadline? See if they come with recommendations for their work. You could even call up one of their previous clients from their portfolio and ask directly. Those offering a video production service often have their own style that makes them stand out against the rest. As with experience above, be sure to check the quality of their work and compare it with others. After considering everything above, sometimes the eventual decision rests with how much it will cost. So when making initial contact be sure to give them as much info as possible about your video production project so that they can give you an estimate. They will need to know roughly how much time to allocate both to the video shoot and post production / editing as well as the additional equipment that will be needed such as sound and lighting. If you’re unsure about anything, just ask! Video suppliers often go that extra mile to help you out with any queries and may also have a range of creative input that they can offer in order to give your video that added feature to make it stand out from the rest. These little handy tips above will certainly help in finding you the right video supplier to work with. Give us a shout if you have any queries or would like to learn more. In July of 2016 we brought our event style videography to the Flywheel Festival in Oxfordshire. The festival features an array of vintage aviation, motoring and military endeavour. Based at Bicester Heritage, the event brings these iconic machines of the past back to life for all visitors to experience up close with some highly impressive demonstrations, from the historic racers on the track to the incredible Great War Display Team re-enacting a dog fight from the First World War. We captured all of the action not just from the ground but also up in the air. Charles managed to get a ride in an original 1940s Tiger Moth, courtesy of Chris Thompson of Finest Hour Experiences. Some of the aerial footage has been used in our highlights video below. Earlier this year during the early May Bank Holiday weekend we brought our event style videography to the Donington Historic Festival. We were commissioned by Historic Promotions to produce the official promotional highlights film for the event, which is now in its 6th year and held at the famous Donington Park race circuit in Leicestershire. It is primarily a vintage themed event featuring a variety of classic race cars spanning about 9 different decades from the 1930s right up to the 2000s. 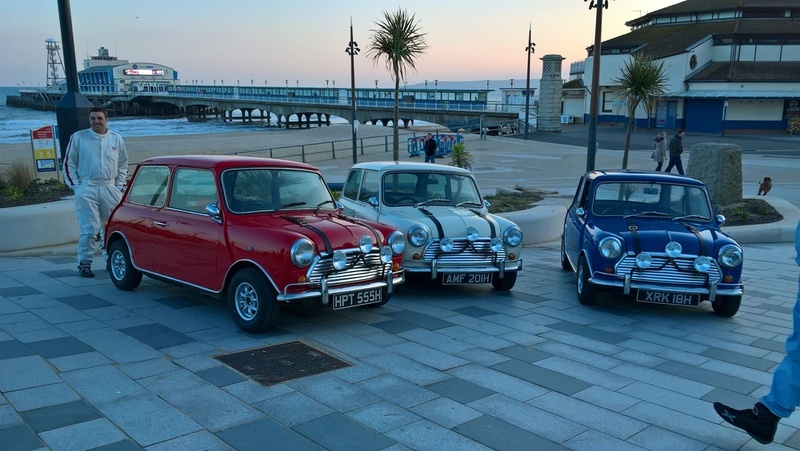 The festival features much more than fantastic racing action including rides with the Caterham Experience, parades, rally cars, historic go karts and so much more. There’s also the chance for the crowd and enthusiasts to get right up close to the action both in the grandstands and by the paddock area where the mechanics work their magic on the classic racers. It was our first event at an official race circuit and needless to say we loved every minute of it. Behind the scenes everyone was so welcoming to us. Some seasoned photographers even gave a little of their time to tell us about the circuit and the best places to stand. We particularly loved the dedication and commitment from the organisers, staff and the volunteers who make the event what it is.